Samsung M5650 Lindy is another very new phone. Lindy is a girly name and yes the shape of this phone is very suitable for ladies. it has a 2.8 inch capacitive touchscreen which supports multi-touch. it has very good music quality because of the DNSe (Digital Natural Sound Engine) technology. 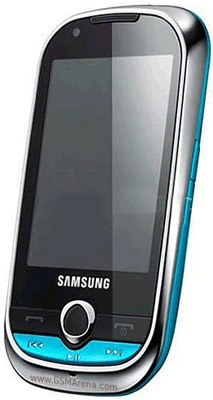 Samsung M5650 Lindy has 50MB internal memory and supports up to 8GB memory cards. it has 3G and supports 7.2 MBP/s HSDPA. also the main camera of this phone is 3.15 MP and supports video recording as well. Samsung M5650 Lindy comes with very cool applications. it has Social networking integration with live updates and Find Music recognition service as well.